Hi, Terresa here. 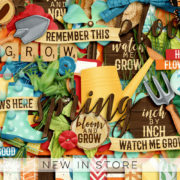 Welcome Spring here in the USA! So glad warmer days are here. I love seeing the daffodils, crocuses and tulips arrive. 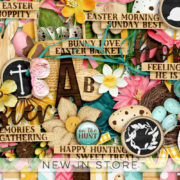 In celebration of Spring today’s post is all about putting together a simple package that is versatile enough to give as a gift to honor the month of March. 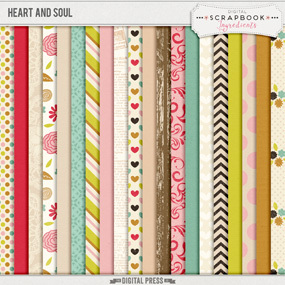 Supplies: Kraft package with a clear window, journal card, card stock, ribbon, and choice of candy. 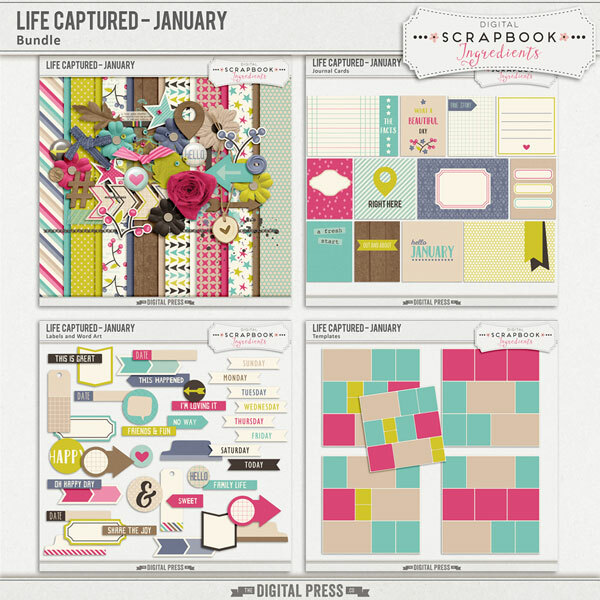 I chose to use the element journal card from Life Captured January. I loved the pretty colors of this kit. I enjoy using journal cards as a printed card. 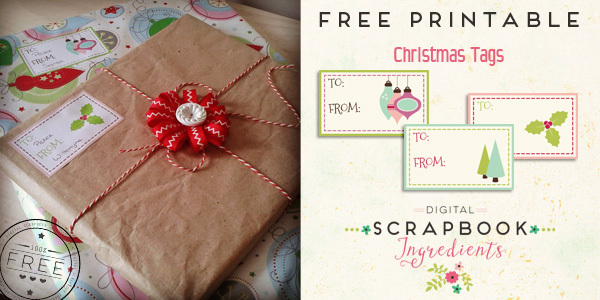 To make one to fit your package use the dimensions of the packaging as your guide to choose the size. My card dimensions were 2 1/2 by 3 inches. Once my card was ready, I printed it on card stock and cut it out. I attached it to my bag with double sided tape. Then I cut my ribbon and tied it in a bow to fit around the bag. I filled mine with some flower shaped candy. 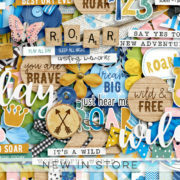 Hello, and happy February! I am getting into the spirit of Valentines Day this week. How about you? 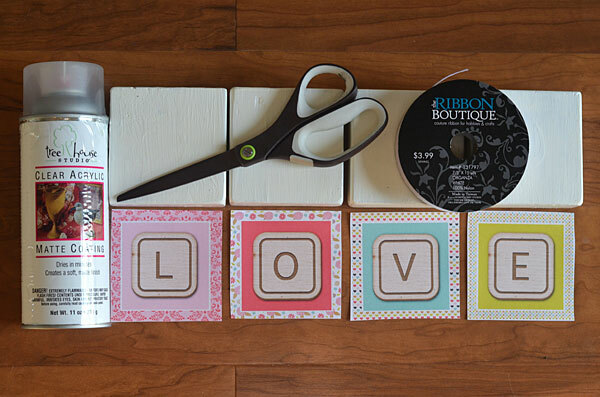 So I thought I would share a fun Valentine craft project with you today. 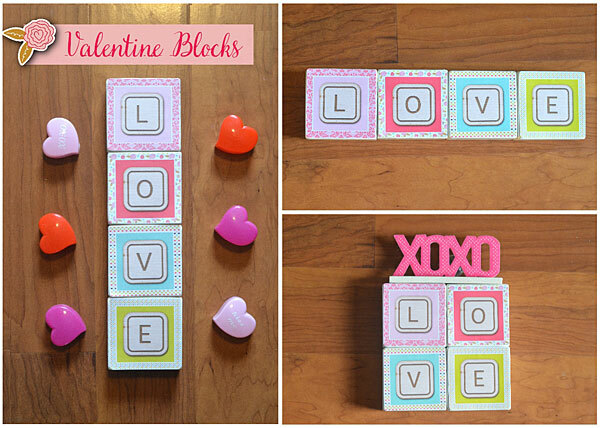 Valentine Blocks! 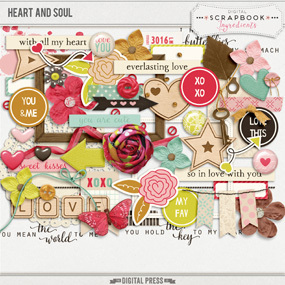 So first I created the design for the blocks with some darling elements and papers from Digital Scrapbook Ingredients Heart and Soul kit. They are currently on sale for just $1 each. My blocks measure 4″ x 4″ so I made my cutouts to fit those dimensions. I sanded and painted my blocks and let them dry. Then I printed my image on glossy card stock paper and cut them to fit. 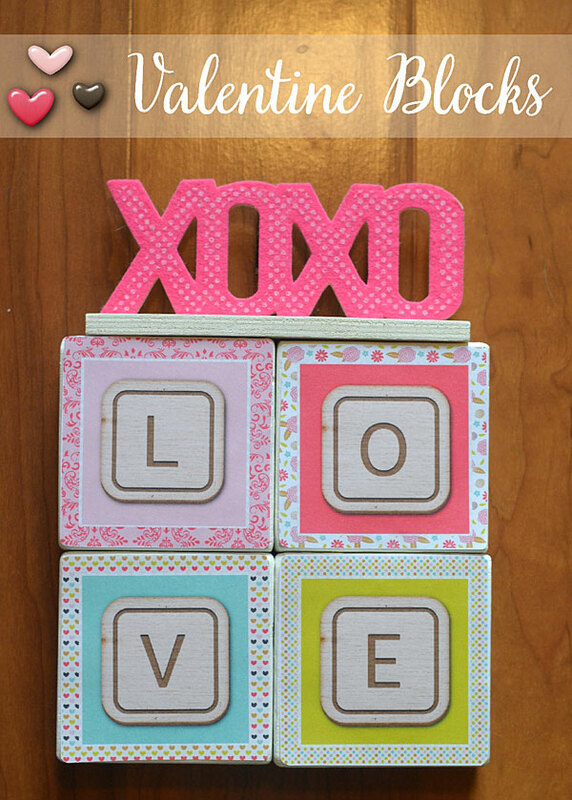 At this point you can glue the image to the blocks. Now are you ready for my secret? If you are like me I reuse my blocks for seasonal decor. 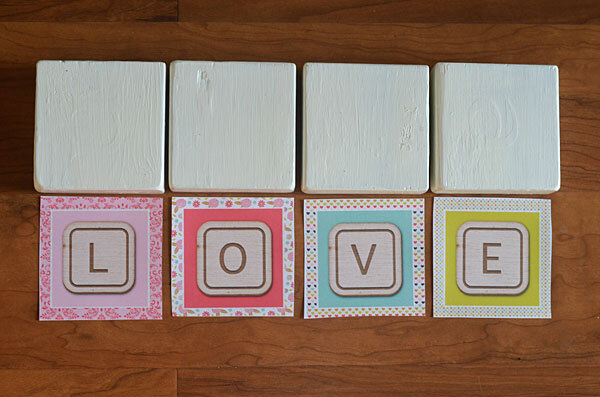 So instead of glue I used a few pieces of double sided tape to attach my image to the blocks. 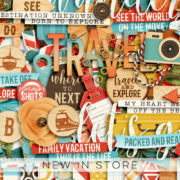 Then when the next holiday comes around I can reuse my blocks for a new decor project! 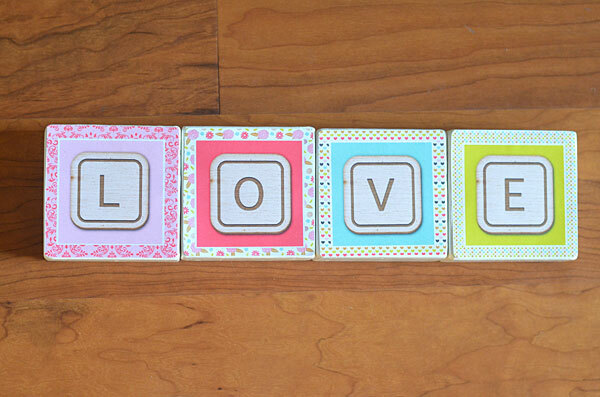 One of the things I love about this project are the many different ways I can display my blocks. 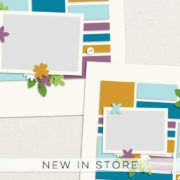 On any given day I can change my decor to be horizontal, vertical or stacked in a square.